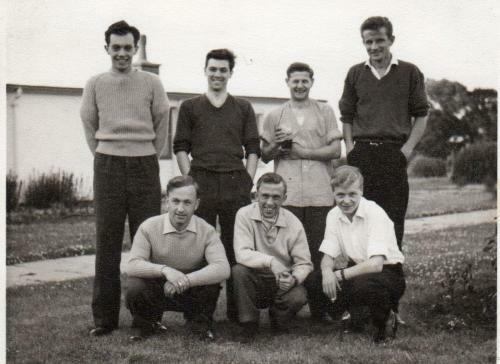 Royal Air Force Greatworth served our Nation in peace and war for well over fifty years. Nestling comfortably in the rural Northamptonshire countryside, this reclusive little RAF Camp played a crucial role in telecommunications throughout World War Two as the transmitter site for Bletchley Park, it helped relay much vital correspondence across the world to help orchestrate the war effort. After the war, the demands for its services continued increasingly with the beginnings of the Cold War, the single most expensive conflict ever fought throughout history. The National Archives at Kew have records of RAF Greatworth from 1944, as a W/T Station, along with W/T Station RAF Dagnall, but nothing that suggests when it was first built. It also agrees with Derrick Savage on the date of the buildings reconstruction beginning in 1954, this puts the Air Ministry’s land purchase and the aerial photo in a completely different perspective. Both Jeff Turner and Derrick Savage have ventured the opinion, that RAF Greatworth predates WW2. So, when was that photo taken? What was the Air Ministry’s land purchase about, did they purchase a lease that the War Office had acquired previous to the war? The only information available is sketchy and incomplete, but it is a fair bet that RAF Greatworth must have opened before WW2. After WWII saw the start of the most expensive war ever from 1945 until 1988, The Cold War, involving all three of the worlds `super powers’, in an `arms race’ of Armageddon proportions and almost insane brinkmanship. If the world were to be destroyed by men, this is when it would have happened and there were some close calls. 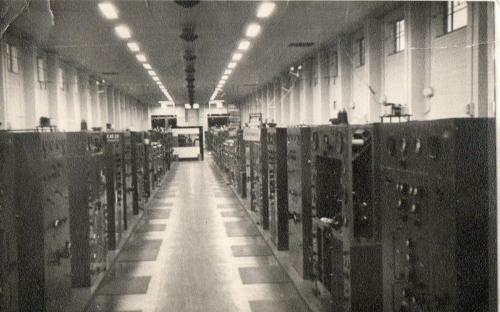 During this period, the RAF developed it’s HF telecommunications systems into a huge global network, that was vastly superior to pre war systems. As far as we know, the huge pre-war Nissen type building used for the TX Hall and some smaller ancillary Nissen huts were the only buildings. 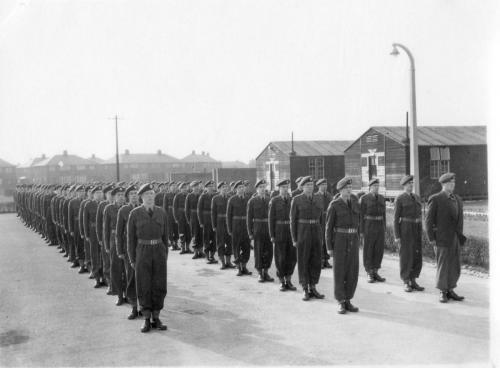 RAF Greatworth acquired the designation of Number 962 Signals Unit in January 1956 and kept it until September 1960 (National Archives, Kew), It later became a detachment of No2 Signals Unit RAF Stanbridge, along with RAF Bampton Castle and RAF Edlesborough the latter is believed to have been RAF Dagnall previously. Edlesborough was another transmitter site and Bampton Castle was a receiver site. During the war, we know little of the billeting arrangements but one member tells us that he lived off site at Helmdon and it is believed that the village provided this service until just after the war ended. After this, the accommodation Nissen huts, ablutions, mess and NAAFI huts were built on the site in a self-contained compound. 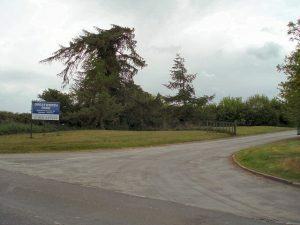 That site is now known and was on the lane west of the TX Hall, towards the Welsh Road. It is shown on an aerial photo that was done shortly after the end of the war. The CO’s house was built a little while after the Nissen compound and isn’t shown on that photo. 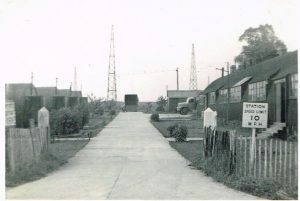 Through the years following the war, RAF Greatworth saw extensive modernisation, all the Nissen buildings and huts disappeared into brick and concrete buildings, only the wooden lattice towers remained unchanged. RAF Greatworth eventually closed on November 11th 1988 and the premises were leased to USAF, when it was no longer required, it was handed back to the MOD on 8th February 1992, subsequently the property and it’s land were sold into commercial use. The aerial farm was returned back to its pre-war agricultural use for farming and the tall distinctive wooden lattice towers and other masts were felled although the old concrete bases and counterweights still remain, these are now used to reinforce the hedgerows and fences around the old `aerial farm’. 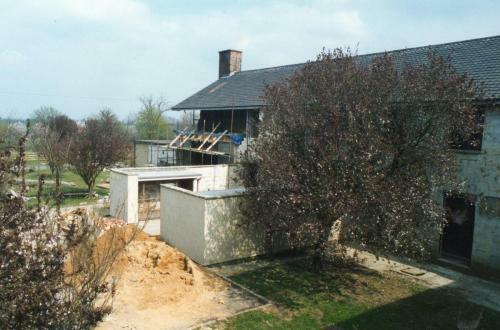 South and close by of the accommodation buildings, are eight concrete bases that were not removed from their place of rest. All the old buildings remain and now form Greatworth Business Park. It is now ‘PRIVATE PROPERTY’. Visitors should respect this when entering the premises. Previous visits by members have been welcomed by the occupants of the businesses and our reunions made very welcome indeed. It is to be noted that visiting the site’s businesses should be preceded with an appointment. If you served at RAF Greatworth as a member of Her Majesty’s Armed Forces, or worked here in any capacity, at any time, servicing the functions of this RAF base, or are a local resident to the site, or perhaps an occupant of the present-day business park, then you are welcome to join the membership and to enjoy the facilities of this website.